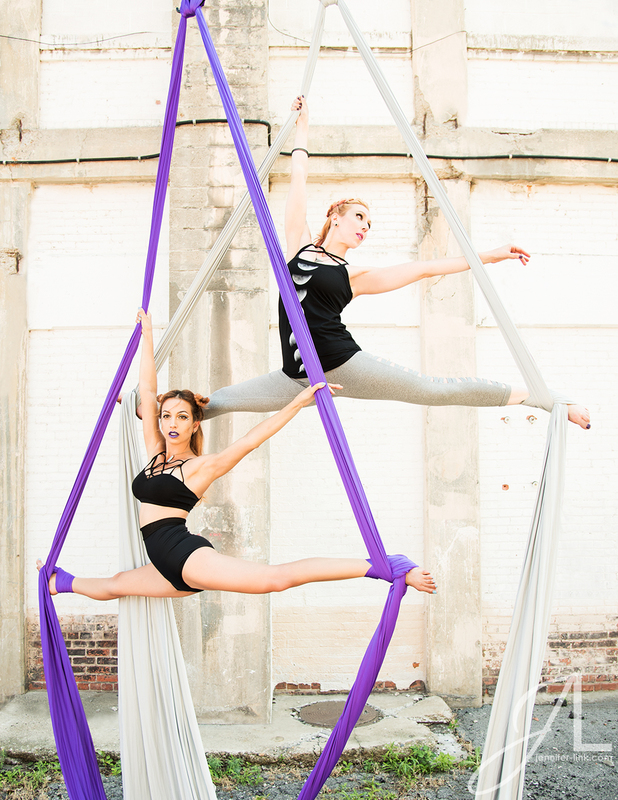 Buffalo Aerial Dance is located in an old factory in Buffalo turned office and arts building, the Pierce Arrow Building. 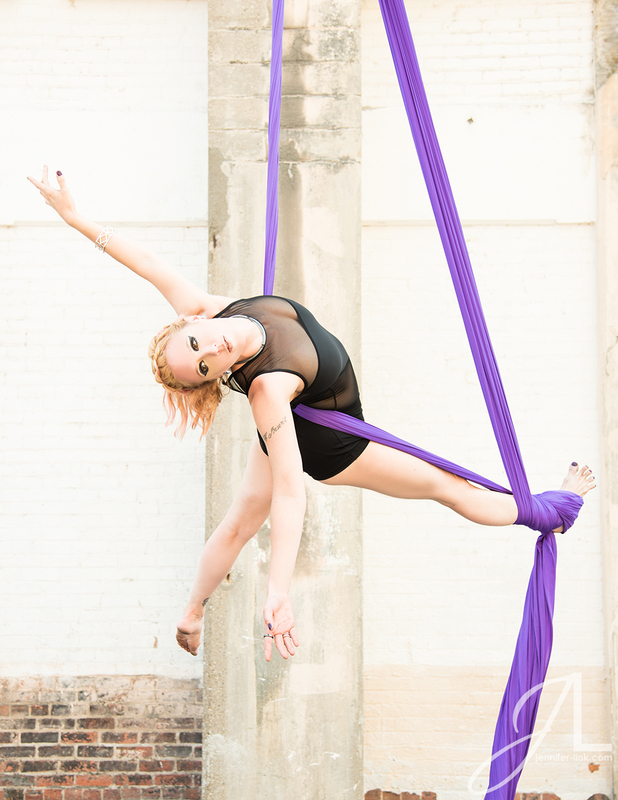 They have a great aerial dance rig and Pierce Arrow has some interesting distressed outdoor spaces so our location was set. 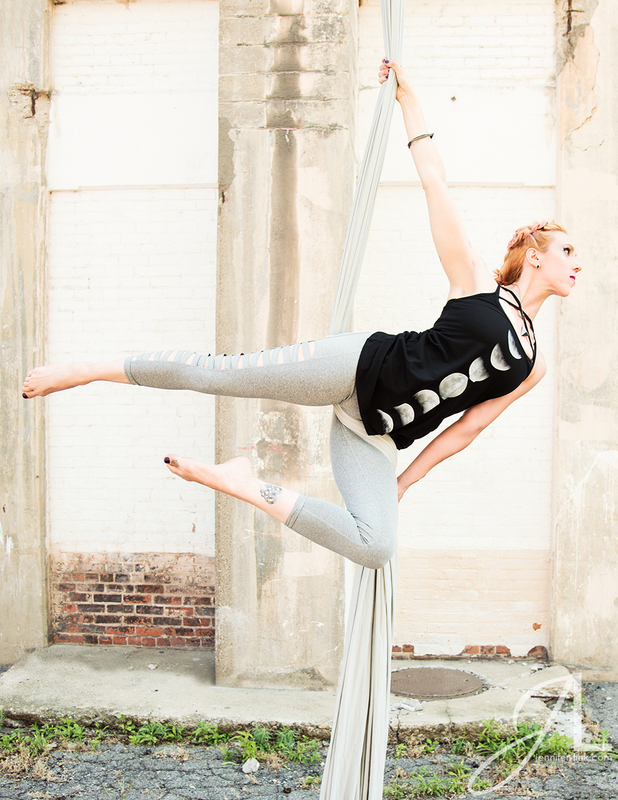 I had never done aerial dance photography before but had a clear vision of what I wanted the editorial to look like. We spent a full day shooting on a hot summer day but the dancers did such an amazing job and made it look effortless. Shannon Kramp styled the shoot and we featured some kickass designers including Too Fast, Rat Baby, Mo West Creations, and jewelry from Erica Bello. We focused on athletic wear that fit Auxiliary’s style, dark, geometric, and bold. Everything was brought together by our hair and makeup team, Lauren Ashley of Atomic Barbershop and Salon and Mallory Jay Stoos. I love how this editorial came together. 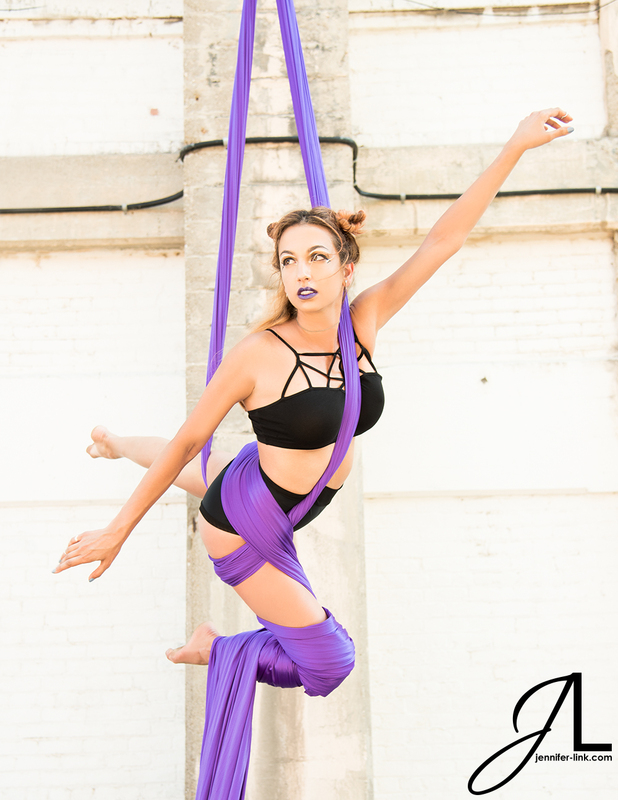 Doing aerial dance photography for this editorial was a very rewarding. It is definitely one of my recent favorites and it feels like quite an accomplishment with all the factors that were at play. 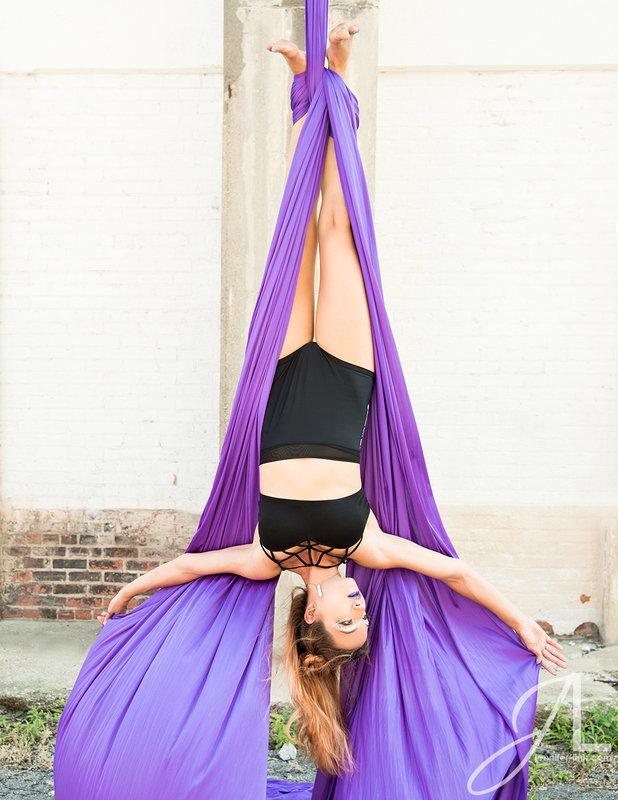 It was fun to do aerial dance poses and get some unique fashion shots that you can’t normally get, like an upside down pose!